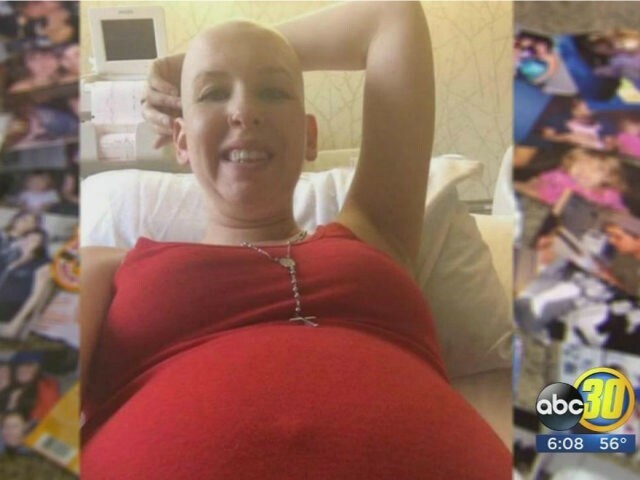 Jamie Snider of Fresno, 30, underwent treatment and chemotherapy for an aggressive form of cervical cancer while she was pregnant with twins, the Daily Mail reported. After undergoing a C-section and a radical hysterectomy March 16, Snider passed away from heart failure. Snider had beaten the cancer before when she had an ovary removed. She was surprised and overjoyed when she got pregnant with twins. Snider already had two young daughters, Aubrey and Maddie, and was ready to fight the cancer once more. She went through intensive treatment at Stanford Medical Center while she was pregnant, and the disease went into remission once again. Snider posted a photo of herself on Facebook, optimistic about her pregnancy and things to come. Snider’s friend Larina Campanile told KFSN about Snider’s last post on Facebook before the surgery. Snider survived the surgeries March 16 but died of heart failure the morning after. The babies, named Camila and Nico, were born prematurely, at 33 weeks, but they are healthy, according to family members. “What gives me peace in my heart is she got to see those babies and hold them and be with them a little bit,” said Campanile. Family and friends have raised money on GoFundMe for Snider’s funeral expenses and help with the children.